I do have a confession. I used to have a weight problem. Not that kind of weight problem, where I have to join Weight Watchers or do some silly diet for fat loss. I was just too big. Too muscular. Too heavy. 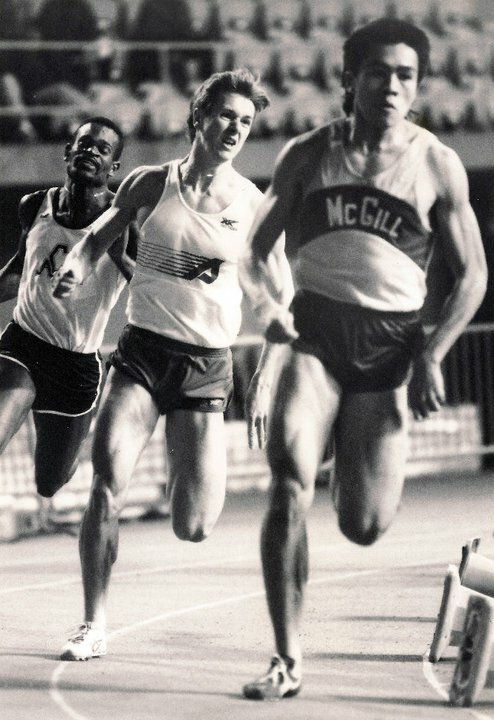 In my last article Why 400m Sprinters have Lower Body Fat than 100m Sprinters & Marathoners, there were some good ideas on “why and how” to stay lean. For any sprinter, especially 400m sprinters, any excess non-functional weight should be removed, unless you are strong for your weight. At 85 kg or 188 lbs, and at 6 feet tall, I was one of the biggest guys out there. I’m certainly no Jeremy Wariner. I was always single digits in body fat (or just barely), always below 10% but never near 5% like Elite athletes. But I never broke 7 seconds for 60m, and only ran sub 11 once. There was a lot of mass, but I didn’t flip truck tires or do Farmer’s walk. I was strong, but not strong for my weight. I wasn’t fat, but I probably could have eaten better as an athlete and lost a few pounds, both in subcutaneous fat as well as intramuscular fat. I was big, but not super-lean like elite athletes. We used the 10 point calliper test, and I was always less than 1 cm for each skinfold. The general public likes to use “pinch an inch” (2.54 cm) to determine if you should lose weight but I think athletes should be “pinch a centimeter” as a guideline. You must be lean. But I look back and ponder; if I lost some body fat, how fast could I run? What is the correlation between Body Fat and Sprint Times? If I lose some body fat without muscle loss, how fast can I run? Probably the only way to test for this is try it on your own body. Either lose fat, or put on some artificial non-functional weight such as a weight vest. You already use sleds or resistance exercises, so this concept is familiar to you. If it’s a horse, then it has 4 legs. If it has 4 legs, then it’s a horse. True or False? Science is great. Interpreting results to get results is another thing. 1972 400mH Olympic Champion John Akii-Bua used to train in a weight vest all the time. In the 2011 study titled Influence of upper-body external loading on anaerobic exercise performance, 46 subjects (21 men and 25 women) were tested for vertical jump, 20 yard and 40 yard dash, and 20-yd shuttle tests under 6 different loading conditions (0, 2, 4, 6, 8, and 10% of added body weight). At 2% increase, there was a significant performance decrease! At 85 kg, I could have dropped 1.7Kg and made a difference! At 188 lbs, I could have dropped 3.7 lb and moved up a few spots at Nationals! That kind of weight loss was realistic. 2% is nothing, except when you lose a race. A 2% increase from a 4.70 40 yard dash equals 4.79 seconds. Running a Crossfit 400m under 80 seconds is one thing. Running sub 50 is another league. 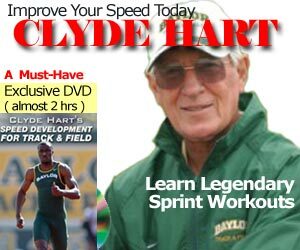 If you are doing Crossfit and want to run a 400m under 80 seconds, that’s one thing. But trying to run sub 50 at College or High School is another thing. So I think we all agree that any excess weight will make a difference, and every effort should be made to dispose of it. MORAL OF THE STORY: The most important things in life don’t cost a lot of money. Time is one of them. The other is making smart food choices. You don’t have to “diet” to lose weight. Just change your food selection, coupled with smart training, and the pounds should come off.